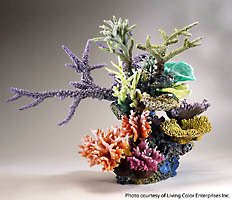 Aquatic Art, Inc. is an authorized distributor and certified installer of aquarium systems and fabricated reef aquascapes made by Living Color Enterprises, Inc. 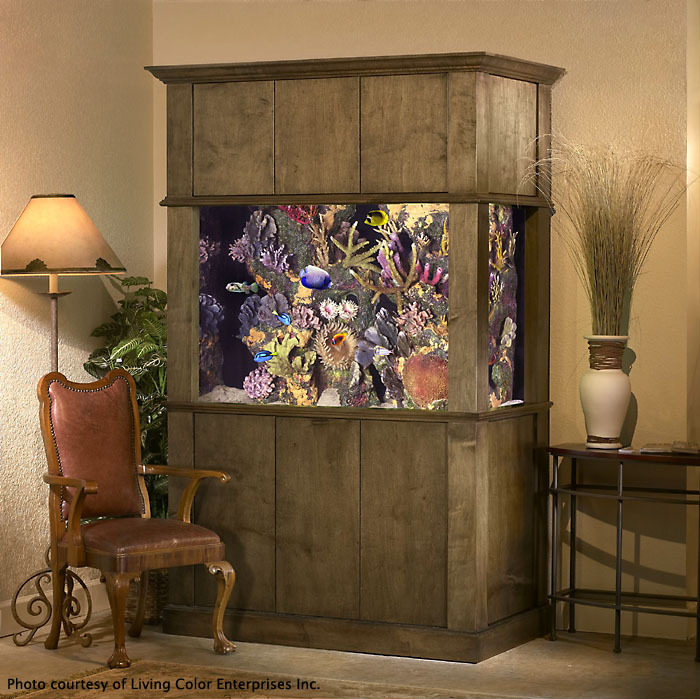 Created for style and simplicity, the Living Color Discovery Collection is a line of museum-quality aquariums as simple to purchase and incorporate into any room decor as a piece of fine furniture. 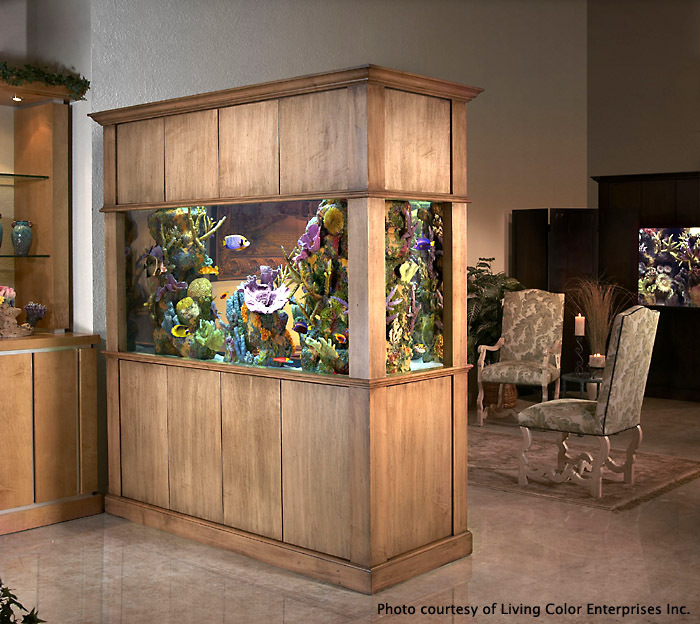 The options are many: the Poseidon and Atlantis models are available in either a freshwater or saltwater model, with three styles of cabinetry and a dozen finishes. 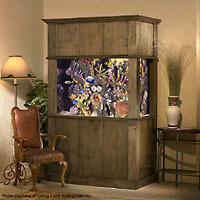 The models are ideal against a wall or as a room divider. 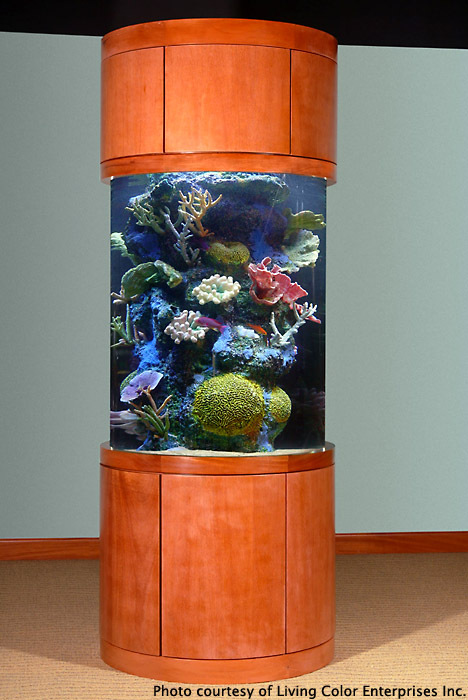 The cylindrical Neptune model offers three different fabricated saltwater reefs and a variety of cabinetry finishes. 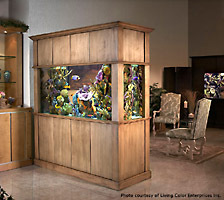 Living Color is the only company with a complete design-build facility. Whether you create your own living design or select one from their Discovery Collection, Living Color brings you extraordinary aquariums, uniquely fabricated coral reefs, and coordinating cabinetry — all with the qualities of a masterpiece: timeless beauty, distinction and pleasure.